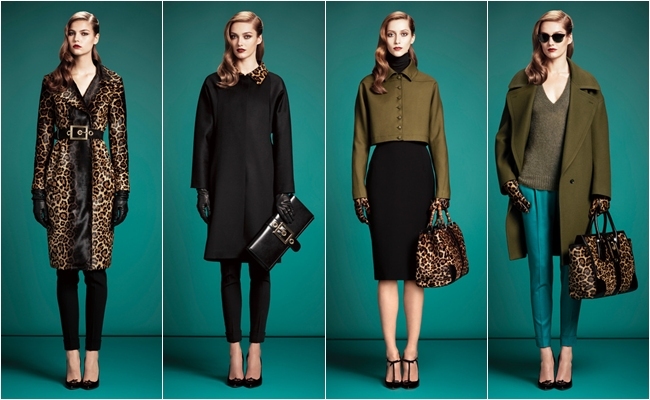 Pre-fall 2013-> Be sleek, chic & urban: every day! Maybe you were wondering based on what I'm making the selections when it comes to this kind of fashion collages. Well I simply pass through absolutely each collection from beginning till the end, and imagine myself (while curiously and mercilessly taking the advantage of my mind and dominant visual/spatial intelligence) wearing the exact outfit, from head to toe. If more than 90% of the look (sometimes I can/must to leave out some annoying details) matches my style, energy and temperament- then we have a winner! In this post the emphasis is on the completely chic and suitably sophisticated daily combinations, dedicated to the independent and feminine ladies who wake up satisfied and know what they want from each day! 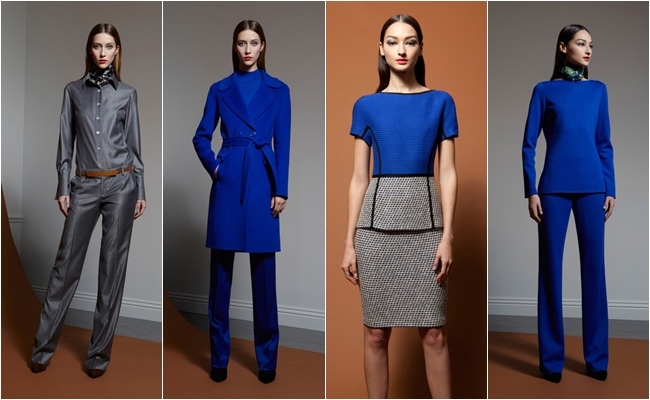 Here is what I've chosen from the following pre-fall 2013 collections: Burberry Prorsum, Gucci, Rachel Zoe, Dsquared², BCBG Max Azria, St. John and Alice + Olivia. Mozda ste se nekada pitali na osnovu cega ja zapravo pravim selekcije kada su u pitanju ovakvi modni kolazi. Pa jednostavno pregledam svaku kolekciju od pocetka do kraja, i zamislim sebe (pritom sa potpunim zadovoljstvom i bezdusno "iskoriscavam" svoj um i dominantnu vizuelno/spacijalnu inteligenciju) kako nosim svaki outfit od glave do pete. Ako vise od 90% look-a (ponekad mogu/moram da zatvorim oci i predjem preko nekih detalja) odgovara mojoj energiji, stilu i temperamentu- eto nama pobednika! U ovom postu akcenat je na potpuno sik i prigodno sofisticiranim dnevnim kombinacijama, namenjene nezavisnim i zenstvenim damama koje se bude zadovoljne i znaju sta zele od svakog dana! Evo sta sam ja izabrala iz sledecih pre-fall kolekcija za 2013-tu: Burberry Prorsum, Gucci, Rachel Zoe, Dsquared², BCBG Max Azria, St. John i Alice + Olivia. Vidim da su vec emerlad koristili! love the lepard print the most!!!!! xO! Great pre-falls...Alice + Olivia, Tory Burch, BCBG are amazing...I also liked very much Moschino Cheap & Chic, Carolina Herrera and my absolute favourite...Donna Karan´s it is just fabulous. I love the collection of Rachel Zoe...that's really fantastic. The Burberry Prorsum is amazing. Oh my! Gucci & Burberry please, with a dose of Alice + Olivia! Such gorgeous clothes and collections. gorgeous collection!! i featured the gucci collection recently...loved it!